Selling digital images and video helped Shutterstock in New York make its mark. Now CEO and founder Jon Oringer sees potential to expand into other content and media. He spoke as part of Internet Week New York, discussing why his company went public last October and new ways in which he wants to expand its platform. Shutterstock (NYSE: SSTK) provides its subscribers, many of whom are graphic designers, marketers, and media companies, with access via the Web to a library of more than 25 million stock photos, video, illustrations, and other graphics. Oringer’s company tries to keep things simple by letting subscribers download and use content, for a fee, rather than have to negotiate rights on their own for each image. Oringer said he was ready to pull the trigger on going public when the company hit $100 million in sales last year. “That’s the run rate it takes to go public,” he said. All told, Shutterstock generated some $169.6 million in annual revenue in 2012 with $47.5 million in net income. Most anyone can contribute photos to Shutterstock, Oringer said, though they must pass a review process to ensure their images meet quality standards. Subscribers pay $249 per month—yearly and multi-month plans are also available—for access to download content from the platform. That is a discount, according to Oringer, compared with hiring a photographer to take custom shots or separately negotiating rights for desired images. 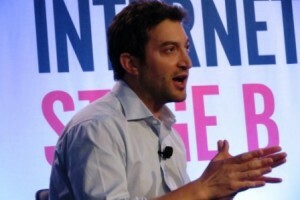 Oringer, a serial entrepreneur with a computer science background, founded Shutterstock in 2003 after his prior experiences launching other companies. “Each time I went to create a new website, send out e-mail blasts, or anything to promote a product, I needed imagery,” he said. The complex, expensive process of obtaining images and rights to use them prompted him to create a better way. “Every business needs an image,” Oringer said.